An obscure dress code requirement that is part of a United Airlines employee perk caused a stir on Twitter on Sunday. The dust-up over United's rules came after Shannon Watts, the founder of the anti-gun violence group Moms Demand Action, tweeted about seeing a United gate agent refuse to allow "girls in leggings" board a flight from Denver to Minneapolis "because spandex is not allowed." "I guess @united not letting women wear athletic wear?" Watts tweeted to her more than 32,000 followers. United's initial response -- that it "shall have the right to refuse passengers who are not properly clothed" -- exacerbated the confusion and anger online. Many asked whether the airline was saying that it could deny service to paying customers just because they wore yoga pants. "Leggings are business attire for 10 year olds. Their business is being children," tweeted actress Patricia Arquette. Model Chrissy Teigen also tweeted in response. Hours later, the airline clarified its response. It tweeted that the passengers who were flying "were not in compliance with our dress code policy for company benefit travel." On Sunday evening, a United spokesman clarified what had transpired at the gate. Two groups were traveling separately on the Minneapolis to Denver flight on Sunday morning. The first group of three traveling on a travel pass through United's company travel perk program included two teenage girls wearing leggings who attempted to board the flight, according to Jonathan Guerin, a spokesman for United. The two teenagers, whose ages were not identified by the airline, were notified by a female gate agent that their leggings violated the travel pass dress code. There was "no uproar, no tears" and the teenagers left the gate area without incident, according to Guerin. A second group in line behind the teenagers, including a younger girl also wearing leggings, is believed by United to have seen the exchange between the gate agent and the teenagers who were denied boarding, according to Guerin. A woman in the party took a dress out of the party's carry-on luggage to cover the younger girl. Guerin said there was no exchange between the family with the younger girl and the gate attendant nor was there any mention of the dress code to the family. They departed on the flight to Denver. The longstanding policy requires those who enjoy the perks of airline employment, which include free travel passes for family and guests, to present themselves in a way that represents the airline well. According to the policy, which was provided to CNNMoney by a United employee, "pass riders" aren't allowed to wear clothing that doesn't look "neat and professional." That includes form-fitting lycra or spandex tops, pants and dresses, offensive or derogatory words or graphics on clothing, "excessively dirty" clothing that has holes or tears, or anything that is "inappropriately revealing." "Pass riders should use good judgment and common sense" about items not explicitly on their list, according to the policy. And it says dress attire for those using the perks "should always meet or exceed the casual standards" of the flying public. 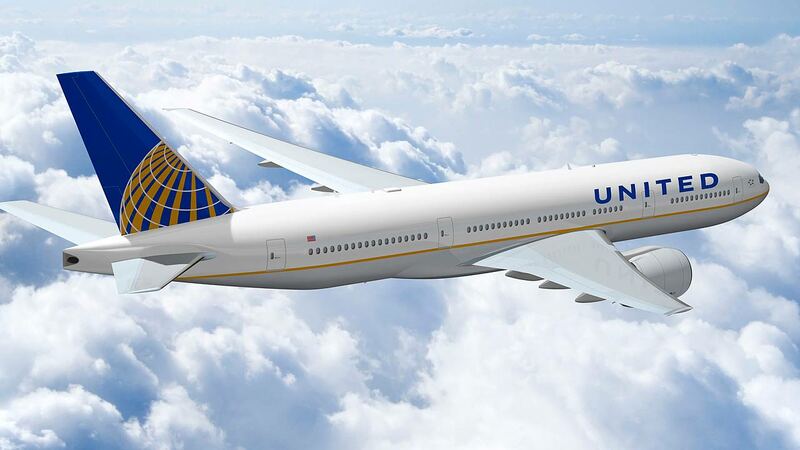 United tweeted back at critics of its rule, including Arquette, to clarify that "leggings are not inappropriate attire except in the case of someone traveling as a pass rider." But others weren't convinced the policy had merit. "We here at @united are just trying to police the attire of the daughters of our employees!" read a sarcastic tweet from actor and comedian Seth Rogen. "That's all! Cool, right?"